This problem occurs without apparent reason. We've received several emails from our readers who have encountered this problem. One owner said he only had the phone for two days and it was his first time to use the 13-megapixel camera of his device when this error message greeted him. 6. Tap Force Stop button. Now, see if the camera works after this procedure. Otherwise, continue with the other procedures. For people who are familiar with Android's infrastructure, it is normal for them to suggest to wipe the partition cache. This procedure will not delete saved personal data only the ones that are commonly used by the system. 2. Press and hold the Volume Up, Home and Power buttons until the phone vibrates. 3. Let go of the Power button but continue holding the Volume Up and Home buttons until Android System Recovery screen appears. 4. Press the Volume Down button to choose 'wipe cache partition'. Once the partition cache was wiped out, the phone will automatically restart. See if the problem was solved after this. I know it's a noob suggestion especially for new units. But according to the developer, this problem might occur if the phone was improperly setup. Thus, it would be wise to factory reset the Galaxy S4 if it starts to manifest this problem. Here's how to do a factory reset on your Galaxy S4. NOTE: Before doing this procedure, make backups of your important data and files. 3. Tap on Accounts tab and choose Backup and Reset. A factory reset could fix a lot of problems including inconsistencies between the software and the hardware. In case the problem wouldn't be resolved after this, there is no other option left but to claim a replacement unit. Contact your provider, explain the problem, have the tech verify it and request a replacement unit. If you’re currently experiencing some issues with your phone and don’t know how to fix them, email us at sebertech@gmail.com and we will find solutions for you. This issue doesn't fix with your ways. Only fix with custom kernel or rom but these solves are temporary. My suggestion is that if users who has this issue, send their device to replacement or install custom rom or custom kernel (adam kernel 1.3.5 for instance) and wait a proper fix from samsung. This issue is not a hardware problem, it's software. Thank you thank you! the first set of instructions worked for me perfectly! I am so glad because this just started happening to me today, and i am going on a trip tomorrow and would love to take some pictures of Nashville! Thanks this helped out so much. Yeah, sending the phone for replacement is a good idea but installing custom roms or kernel isn't. 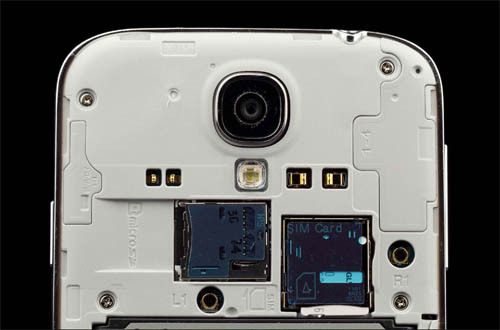 In Galaxy S4, failed camera is more like a software issue than hardware and the first procedure alone would fix the problem. I'm glad it worked for you... Enjoy! I'm from Honduras and my camera works perfect, but when i put the front camera send apears camera fail so i cant use skype or tango so i just end the aplication and continuos work fine is just the front camera the problem, what can i do ?? I have had the phone for 2 days and I love it but having this issue so soon was disheartening. I thank you very much for the first fix that worked right way for me. My GN2 had this problem right out of the box. First fix did the trick, and now things seem fine. But before I decide not to return it, thought I'd ask if the fix works permanently. Anybody have any experiences with the camera reverting to problem state after doing this fix? None of the options worked for me, sadly. Do you know about any other options to go? Tried almost everything, beside replacing the camera. That worked for me!!! Thanks so much! This is the second time this is happened and the first time, I took my phone to the AT&T store and she said it was something to do with the cache, but I just tried the clear camera app and it worked! Didn't work for my. I replaced my camera module, that fixed it. Been running for over a week and took a tons for photo's. No more issue's. same problem here , any ideas please ?? for me just installation of a fresh ROM official help! What is a camera module (excuse my tech ignorance, please). Thanks for this. Clear Camera App steps fixed it for me. Hard to believe they can ship a smartphone that breaks the camera. I used iPhones for the last 5 years and never had my camera break. Good grief. I tried all of the above suggestions with no success. My phone provider is now sending me a replacement phone (under warranty). Me and my girlfriend couldn't video chat on Skype or anything because her phone's camera did this. Whoever posted this.............. you are my savior XD Thanks a lot!! Hey Garrett,glad it worked for you. Sorry it didn't worked for you Nathan. It could have been a hardware problem. Worked for me but when i try to open the camera after 5 minutes i have the same old WARNING. Installing a custom rom will fix the issue or not ? Which procedure worked for you? Have you tried factory reset? It might... I haven't actually tried installing custom ROM to find out if it solves the problem basically because the first procedure often works. For years of using Android devices, camera problems are among the problems I often encounter. Hey Haleigh, what is the error that you're getting? Right after pressing the power switch, continuously tap the Menu key (the button on the left of the Home key). Once the phone is up, you will see “Safe Mode” on the lower left corner of the screen. Now launch Camera once again and see if it causes blank screen. If the problem was solved by booting up to Safe Mode, then try disabling recently-installed applications. I dont know how to disable recently-installed applications..any guess ? Hi ive tried wiping cache partition but error came up and my phone just turned back on. camera failed still showing my front camera or recording wont work but rear camera will.. will reseting factory settings clear my whole phone?? i have a similar prob where my primary cam works completely fine but when i switch to the front camera, the screen goes blank and the camera failed message pops up and the app gets closed. i have tried all the procedures but it aint having any effect on my front cam though the primary one gets going..
First of all try this: Open Camera app from the "Application manager" and do "Clear data", then restart the phone. Second: Do a Factory reset (of course save your data!). If this not help you, you have a hardware problem. You need to change the camera. i did too but and all is well except that evertime i open the camera its saying. not for image quality testing ok for functionality. .
and when i did the *#0*# mega cam test it aay check your camera module version.